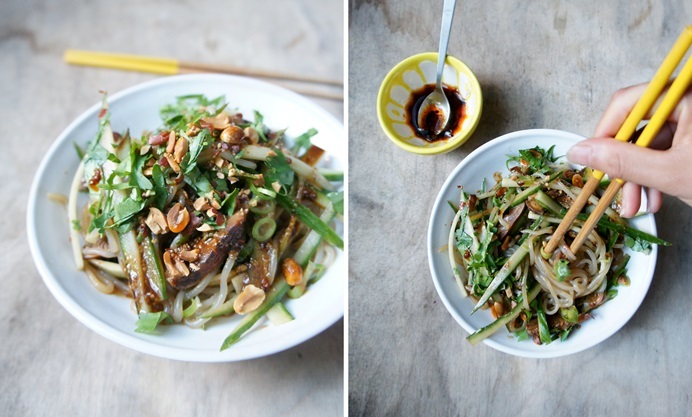 This stunning Sichuan-inspired shirataki noodle salad recipe from Shu Han Lee uses deliciously chewy shirataki noodles to create a simple, flavour-packed dish perfect for a midweek meal. 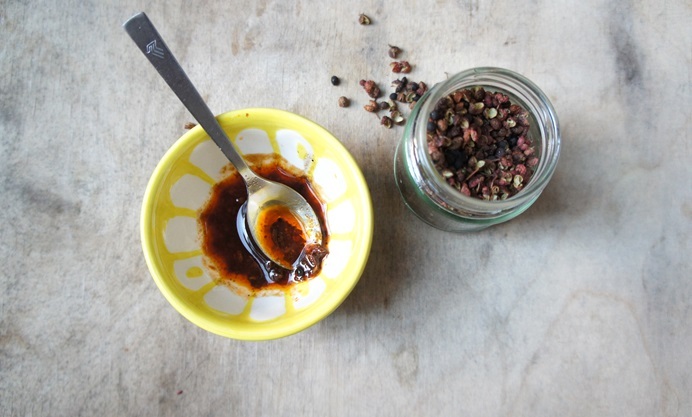 The dressing is packed with fierce Sichuan peppercorns, sesame paste and soy for that characteristic heat of this region of China. 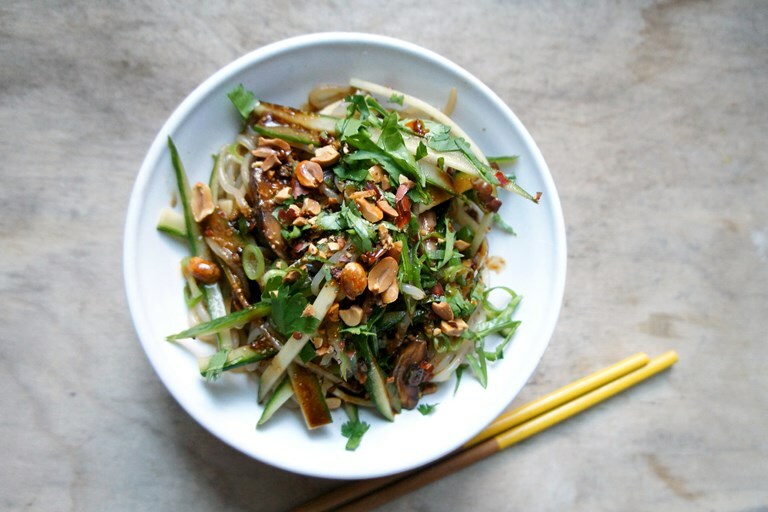 The slippery chewy texture of shirataki noodles works extremely well in this Sichuan-style cold noodle dish. It’s one of my absolute favourites during the rare bouts of sun in London. It’s cold, delicious and satisfies my sadistic craving for spice on a hot summery day. Sichuan peppercorns are what lend this dish (and many other dishes from the Chinese region) its mouth-numbing characteristic. Along with the musky tanginess from black rice vinegar, creamy nuttiness from the sesame paste, and salty soy sauce, the dressing is a perfect balance of punchy flavours. Best of all, there’s no stovetop or oven cooking involved, which is exactly what I need when it’s too hot to do anything more than chopping and stirring.